5.0 out of 5 starsInteresting articles and helpful information. Good magazine with lots of information and interesting story. Best gun magazine in my opinion. Quality before quantity. like rifles? this magazine is a good one. tells you about what rifle does what. the ballistics, loads and all out just fun to read. has information each month on techniques and how to improve your rifle shooting. 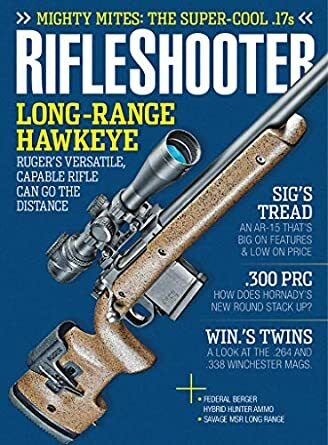 like to shoot the long gun this magazine is a good one to subscribe too. Nice format and interesting articles. Would be nice to receive it monthly ? ?